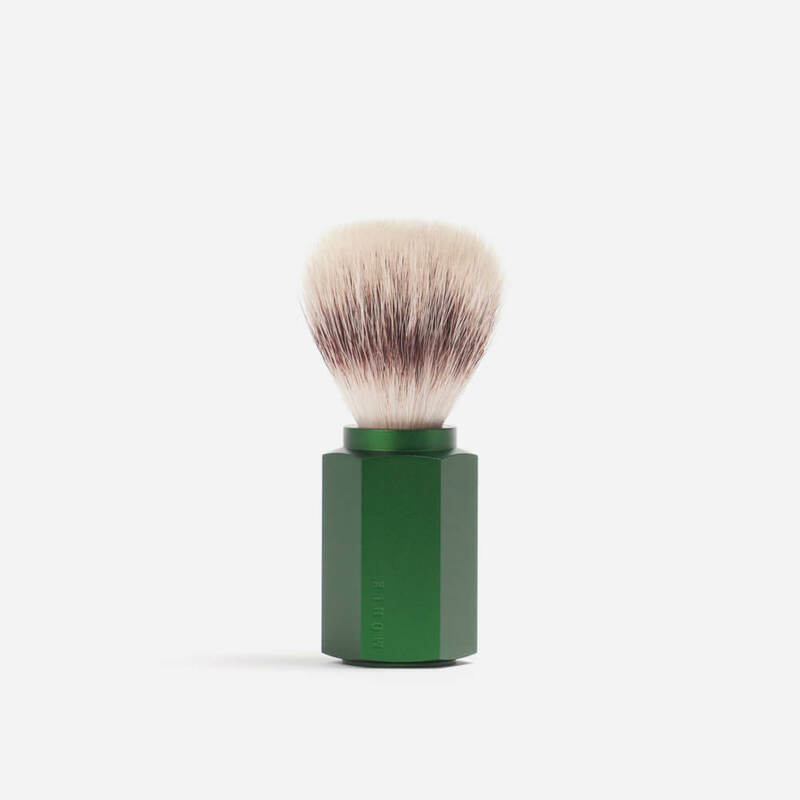 Silvertip fibre synthetic shaving brush with a forest anodised solid aluminium handle. Earn up to 53 Reward Points for this item. 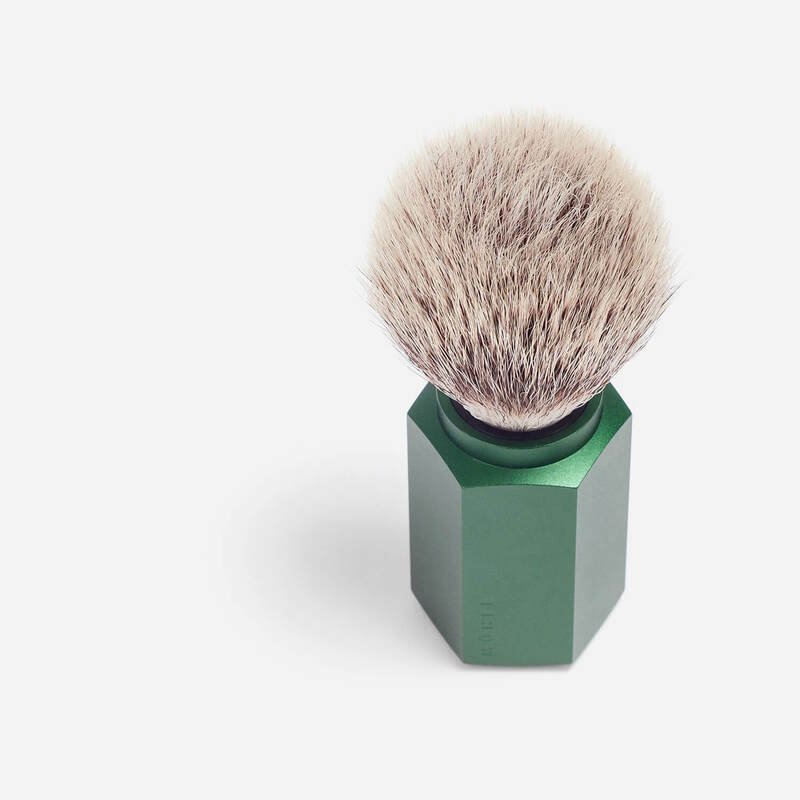 A collaboration between renowned Berlin designer Mark Braun and Muhle, the Hexagon shaving brush features an anodised forest aluminium hexagonal handle filled with Muhle’s synthetic silvertip fibres. Handle: Forest anodised aluminium. The Muhle logo is engraved on the handle. Fibres: Silvertip synthetic fibres. 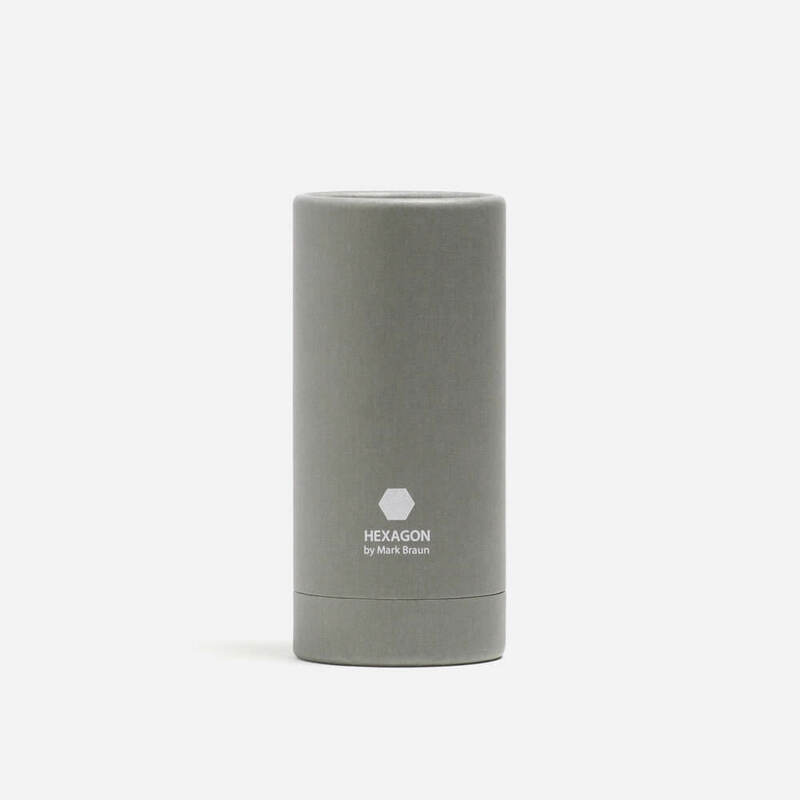 These fibres are very soft at the tips but retain some firmness towards the knot, giving a pleasant, gentle sensation on the skin while offering excellent lathering capabilities. The fibres are quick drying and more resistant to breakage compared to natural hair, and they are completely vegan too. The knot can also be unscrewed from the handle.